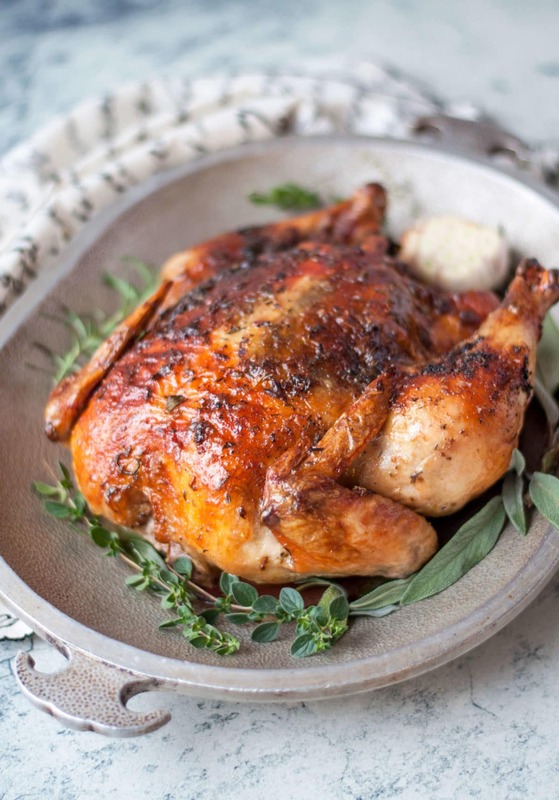 This herbed butter roasted chicken is the juiciest chicken you will ever sink your teeth into. Packing the butter and seasoning between the breasts and the skin locks in the flavor and keeps the chicken moist all throughout the cooking. 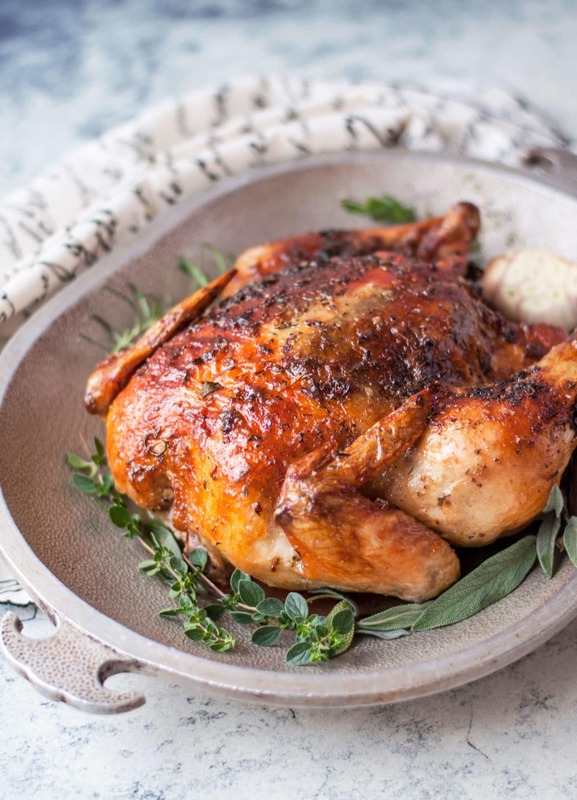 How do you make a whole roasted chicken? 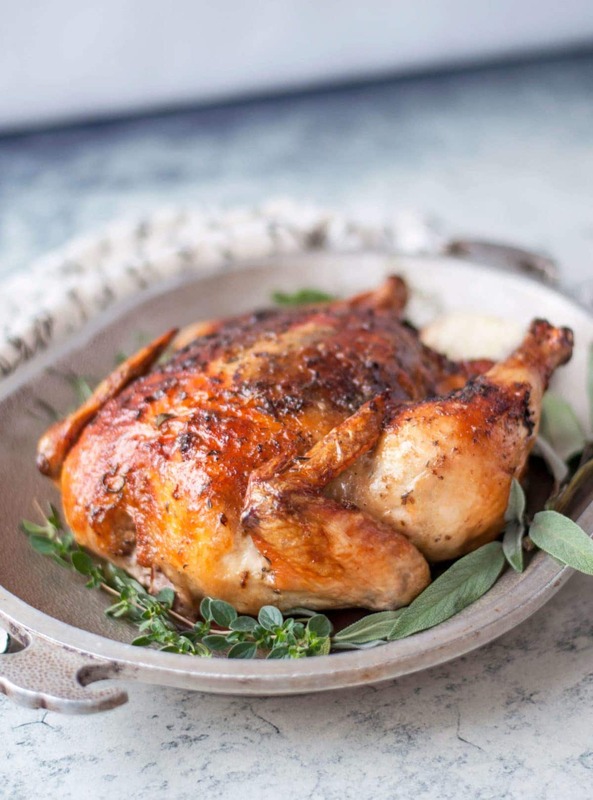 Have you ever tried to make an oven roasted chicken recipe only to end up with dry, bland chicken? Don’t worry, I think we have all been there. There are a couple of specific things you can do to avoid this. The first one is adding chicken stock to the bottom of the roasting pan. This will help to kept the chicken moist and juicy. 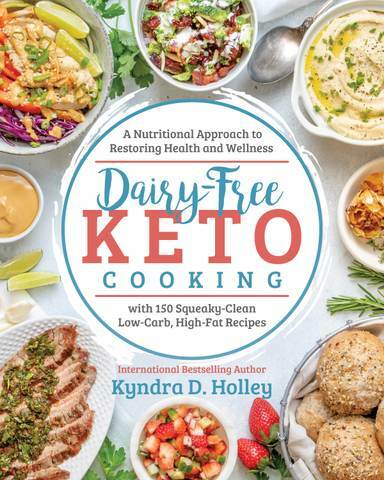 The second thing is to make a compound butter recipe, using grass-fed butter and fresh or dried herbs. Then you pack half of the compound butter between the skin and the breast of the chicken. 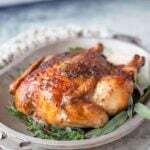 This locks in the moisture and makes for an incredibly juicy and flavorful roasted chicken recipe. After that, you slather the remaining compound butter all over the top of the chicken. Lastly, as you are roasting the chicken, you want to periodically baste the top of the chicken with the drippings from the pan. This makes for a super crispy chicken skin. Delish!! 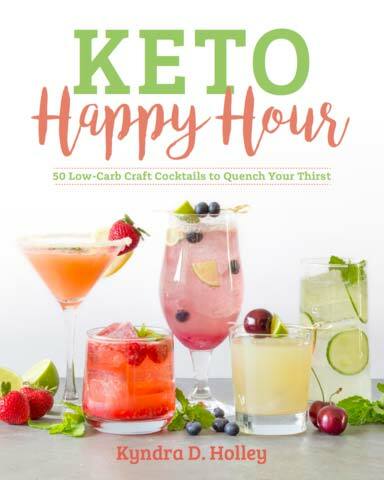 Isn’t is easier to buy a keto friendly rotisserie chicken instead? Sure. 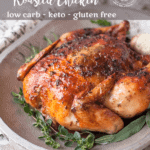 You could always buy a rotisserie chicken instead of making your own keto whole roasted chicken recipe, but I guarantee you it won’t be nearly as flavorful as this recipe. Also, it is very likely that a store-bought rotisserie chicken will have added sugars. I don’t know why people feel like it is necessary to add sugar to literally everything. 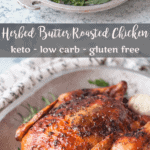 What should I serve with this keto herbed butter roasted chicken? Honestly, you can serve it with anything you want. 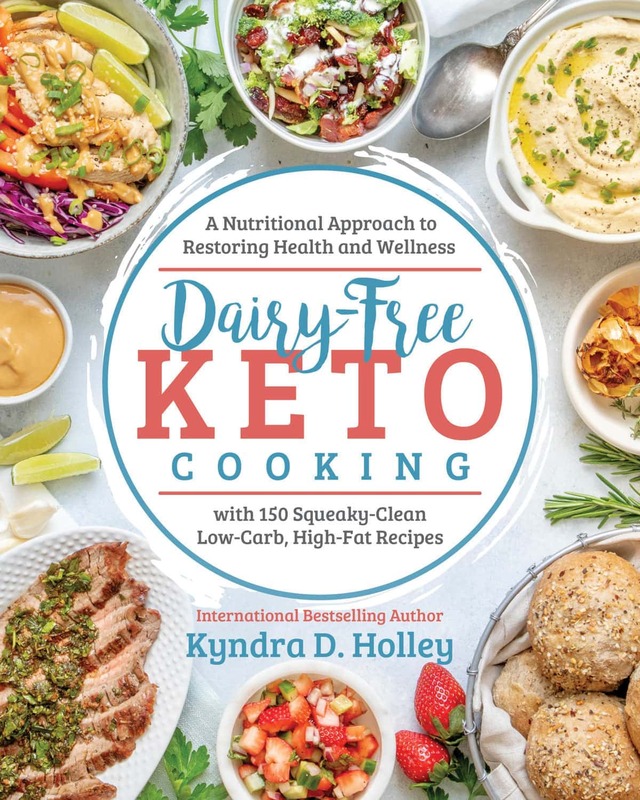 It pairs perfectly with just about any keto side dish recipe. I like to serve this recipe as part of my low carb Thanksgiving feast. 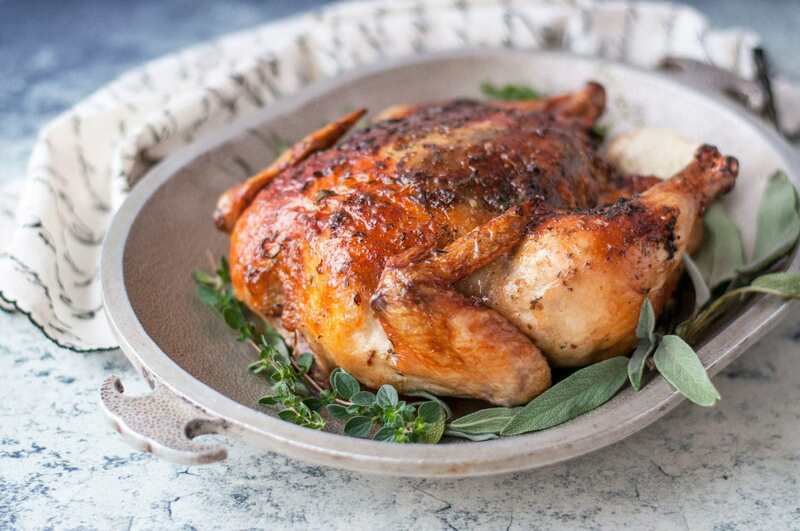 There are a lot of years when our gathering it simply too small to cook an entire turkey and making a roasted chicken instead, makes for the perfect keto Thanksgiving centerpiece. 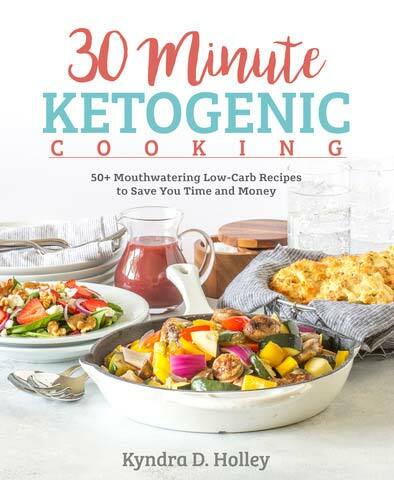 With that in mind, I love to serve it with Cranberry Pecan Cauliflower Rice Stuffing, Keto Green Bean Casserole, Herbed Goat Cheese Cauliflower Mash, White Cheddar Sausage Keto Biscuits, and Low Carb Pumpkin Cheesecake Mousse. 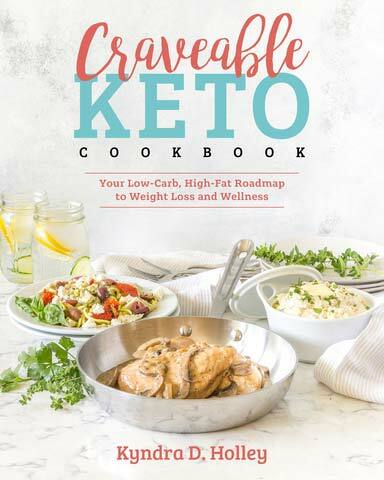 Just like that, you have a complete menu of keto Thanksgiving recipes. Where do I find the comment section ( to read others comments) for this recipe?